As we approach the 25th anniversary of Stephen Lawrence’s murder, it’s time to critically assess whether the Daily Mail really played the pivotal and progressive role it likes to claim in the case, and its impact on Britain’s race relations. 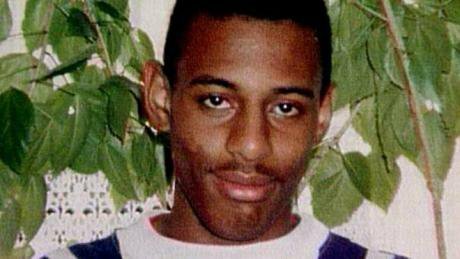 Image: Stephen Lawrence, who was murdered in a racist attack in 1993. When David Cameron gave evidence to the Leveson Inquiry he wanted to give an example of newspaper campaigning that had benefited society. With the entire modern output of the national press to pick from, he chose the Daily Mail’s work on the Stephen Lawrence murder. This, he informed the judge, had been ‘extremely important’. No doubt many others would have made the same choice. Even the Mail’s rivals sometimes hold up its coverage of the infamous 1993 race murder as a high point for British journalism and as proof of the essential role of the press. As for the Mail’s critics, they find the case a stumbling block. If the Mail really played a heroic part in achieving justice for a black family that had been failed by the white establishment, it becomes harder for them to classify the paper as simply intolerant or racist. Next April will be the 25th anniversary of the murder. It will be a moment for commemoration and for reflection about race in Britain. For the Mail, which takes intense pride in its own involvement in the case, it will also be an opportunity to remind the public of what it did. The Mail has also claimed that its reporting brought about the 1998-99 Macpherson Inquiry into the murder and that its campaigning led to the reform of the double jeopardy rule that made possible one of the 2012 convictions. Dacre has also asserted that he risked jail by publishing the 1997 front page. These claims have rarely been examined closely, but in an article just published in the journal Political Quarterly I have tested them against the historical record. I found that, while the paper’s actions involved editorial brilliance and probably had positive consequences, its principal claims are at best exaggerated and at worst unsupported by evidence. Even where it can be argued that the paper did help bring about changes for the better, they were not the changes it actually sought. One example is the assertion that the Mail’s reporting ‘prompted Home Secretary Jack Straw to initiate a major inquiry’, as the paper put it in February 1999. That claim has been made on a number of occasions but it is problematic and at the very least needs careful qualification – chiefly because in the relevant months of 1997 the Mail never once called for a public inquiry. Even when the Lawrence family demanded one, the Mail conspicuously did not give its support. And once it became clear, in the early summer of 1997, that there would be an inquiry, the Mail publicly opposed the kind of inquiry – into police failures – that Doreen (now Baroness) Lawrence was arguing for and that the government of the time ultimately set up. In short, the paper has been claiming credit for the establishment of an inquiry which the record shows it didn’t seek and which took a form it actually opposed. Of course this is not a simple matter. While Jack Straw, in his autobiography, gave credit for the establishment of the inquiry ‘above all’ to Baroness Lawrence, he also wrote that the Mail helped give him political ‘space’ to make his decision. No doubt this is correct: that a conservative paper was conspicuously involved will have made a difference, but again the context must be considered. Straw made his decision in July 1997. It is conceivable that, had he not had the ‘space’ created by the Mail, he might have said no. But the events of 1997 show that six months later, no matter what the position of the Daily Mail, he would have had no choice but to order an inquiry anyway. When, that December, a report by the Police Complaints Authority (PCA) revealed wholesale incompetence and worse in the original police investigation of Stephen Lawrence’s murder, all arguments against a public inquiry would have fallen away. In other words, insofar as the Mail’s involvement might have made a difference by giving Straw more room to act, the difference was between the announcement of an inquiry in July 1997 and the same announcement five months later. The Mail’s claim - repeated as recently as June this year during an angry spat with the Guardian - that its campaign to bring the Stephen Lawrence murderers to justice “did more to improve race relations in this country than anything the Guardian has achieved” is a claim which, at best, requires considerable qualification, not least because throughout the whole history of the Lawrence case the Mail’s understanding of the role of race has been a very particular one. In its reporting just after the murder in 1993 its principal interest was in challenging mostly black ‘race militants’ whom it accused of ‘hijacking a tragedy’. The paper was happy to quote the Lawrences when they expressed concern about ‘militants’, but it conspicuously failed to quote them on the subject of racism in British law enforcement and justice and its role in their plight. Even in 1997 the Mail still refused to accept that the Lawrences’ colour might have made a difference. An editorial published on the same day as the famous ‘Murderers’ front page declared bluntly: ‘But suggestions made by his grief-stricken mother that that police were less than assiduous because of Stephen’s colour are misplaced.’ In the eyes of the Mail, in other words, Doreen Lawrence was simply wrong to see racism in the British establishment as a factor in her family’s tragedy. Why did the Mail get involved at all, if it took that view? Look at the record and the answer is clear. Dacre was outraged by what he called the swaggering conduct of the five suspects at the inquest (which had just ended when the front page was published). He was appalled that they appeared to be getting away with murder, as his own crime reporters and senior police officers told him they were. His focus and that of his paper was on five white ‘thugs’ from southeast London, and accusations about racism in the police or the justice system or in wider British society were wrong, and worse, were damaging distractions. It was for that reason that the Mail did not want a public inquiry into police failure and instead looked to the Macpherson inquiry (in vain) to hold the five suspects to account. When the inquiry report declared that the police service suffered from ‘institutional racism’, and when the Tony Blair government asserted that the whole country had lessons to learn from this, the Mail was openly disgusted. This was, it said, ‘a kind of politically correct McCarthyism’, and it asked: ‘Should the majority in this fundamentally decent and tolerant nation be tainted by collective guilt?’ The only racism the Mail would ever acknowledge in the case was the racism of the attackers (who were heard to use the word ‘n****r’) and conceivably of a few ‘bad apple’ police officers who, it said, should be driven out of the police service. Against this background, assertions by the Mail that it was instrumental in improvements in race relations and also in reforms of the police that flowed from the Macpherson inquiry must ring hollow. Not only did it not want the inquiry in the first place, but it was also broadly dismissive of the inquiry’s eventual findings. It may well be that the public inquiry would have done this anyway, with its months of shocking testimony vindicating the family’s position, but it is clear that the Mail’s sensational intervention in February 1997 accelerated the process and it seems likely that many who would not otherwise have given consideration to the Lawrences’ grievances were induced to do so as a result. My article in Political Quarterly looks at all of this in some detail, and also at the other claims made by the Mail. For example, I found no evidence in the historical record to support the suggestion that the Mail campaigned in any sustained way for reform of the double jeopardy rule, nor for the suggestion that the editor of the Mail risked jail when he accused the five suspects of murder. Dacre’s assertion that if it had not been for the Mail Stephen Lawrence would have been denied justice is particularly hard to credit since there is nothing to support it in the known narrative of the police investigation that led to the two convictions. Even a general proposition that the Mail helped bring about convictions by continuing to highlight the issue does not withstand scrutiny. Newspapers boast, and they often exaggerate – how often do we see two papers claiming the same story as an ‘exclusive'? In that light the exaggerations of the Mail about the Stephen Lawrence case may be seen as normal. But where a matter is as important as this one, and where it remains important even after the passage of nearly 25 years, it is essential to test the boasts against the record and try to arrive at a more accurate picture of what has happened. The Political Quarterly article may be accessed free of charge here.